I was waiting until I had a few things out of the way before setting this up as I knew once it was ready, there’d be no stopping me. The latest Convent addition is an Ashford Traveller Spinning Wheel purchased from Patricia Gledhill from Spun Out Fleece and Fibres at Gulgong. I used to do a lot of spinning in my late teen years on an Ashford Traditional, however that was now some decades ago! 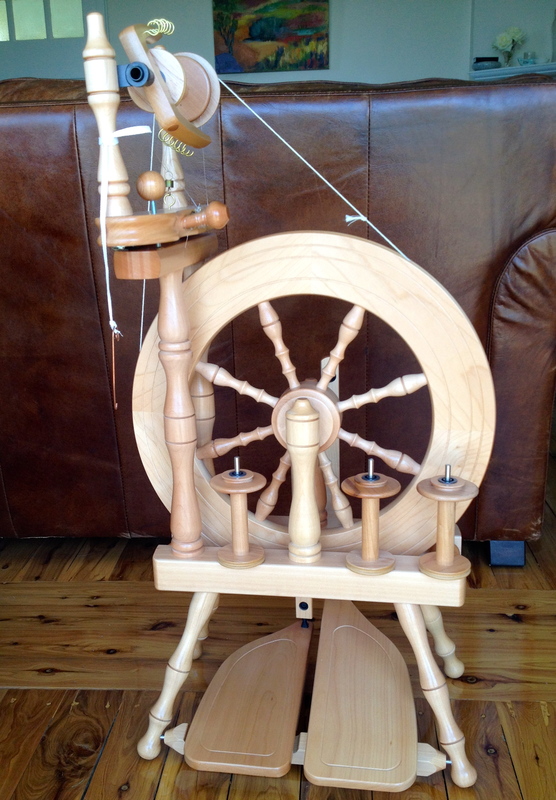 I also have some lovely drop spindles and an Inwood Smith Electric Wheel but have been avoiding delving back into spinning until I had a more traditional wheel ready. No more excuses, but I’m concerned that once I get started, many other things will be neglected. I also have a generous stash of fibre awaiting attention. I’m sure there will be future blogs on spinning.